Lenore Tawney, Lekythos, 1962. Photo: George Erml. 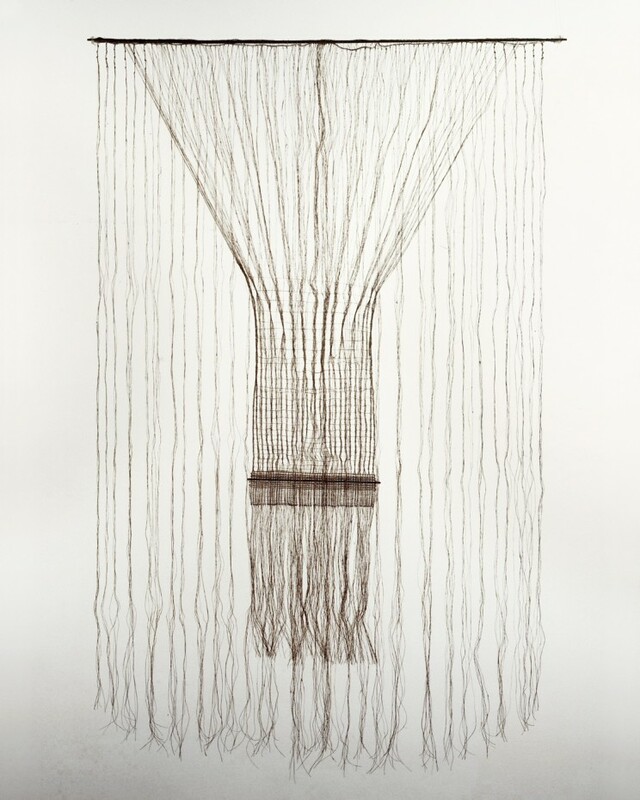 Alison Jacques Gallery is pleased to announce that three works by Lenore Tawney are included in the Anni Albers retrospective at Tate Modern, London. Anni Albers is organised by Tate Modern and Stiftung Kunstsammlung Nordrhein-Westfalen, Düsseldorf. It is curated by Ann Coxon, Curator of International Art, Tate Modern and Professor Briony Fer, University College London, assisted by Priyesh Mistry, Assistant Curator of International Art, Tate Modern, with Maria Müller-Schareck, Curator, and Linda Walther, Assistant Curator, Stiftung Kunstsammlung Nordrhein-Westfalen. The show will be accompanied by an exhibition catalogue featuring new research on Albers’ work. Visitors are invited to view textile works by other artists including Lenore Tawney, Olga de Amaral and Sheila Hicks as part of Tate Modern’s free collection display 'Beyond Craft' on view in the Boiler House until December 2018.